If you’re searching for a quality used SUV under $15,000 in Shawnee, OK, you’re in luck. We have Autobytel favorites with 4WD and ABS, top Kelley Blue Book choices that can seat as many as eight with plenty of room for gear with low-mileage, as well as a host of other off-road ready compact crossovers and heavy-duty SUVs that can get you and your crew wherever you need to go. 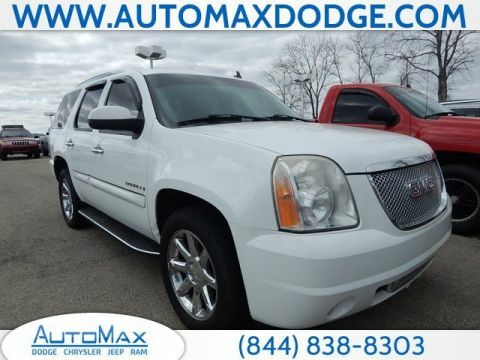 Browse our comprehensive inventory first, then read on to see why when you think budget-friendly used SUVs, you should think AutoMax first. **MP3**, **IPOD ADAPTER**, **BLUETOOTH, HANDS-FREE**, **USB**, **KEYLESS ENTRY**, **REAR BACKUP CAMERA**, **ACCIDENT FREE CARFAX**, **SIRIUS/XM SATELLITE RADIO**. Clean CARFAX. 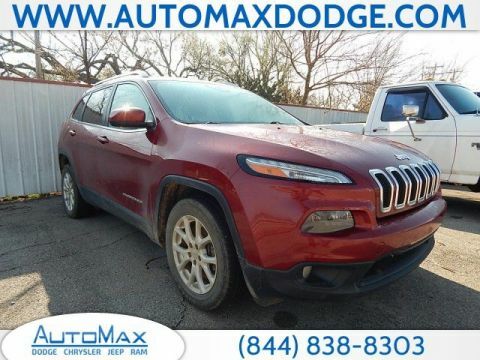 2014 Jeep Cherokee Latitude FWD 3.2L V6 No Gimmicks, No Games, No Hassles at AutoMax Dodge Chrysler Jeep Ram where we are a pet friendly dealership! With the Max Value Commitment, our goal is to provide you with an excellent customer experience every time you contact us. Contact Internet Sales today for VIP Appointments, pricing and vehicle availability. Additional rebates may apply. Please contact us for the most up to date rebates and discounts. Odometer is 9757 miles below market average! 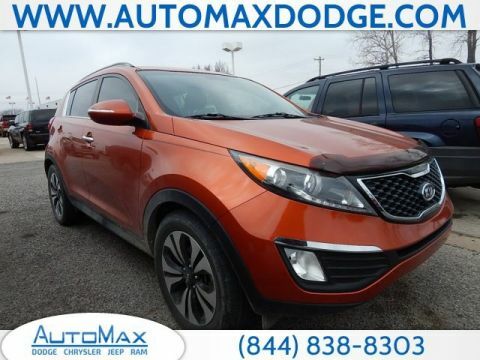 2011 Kia Sportage SX FWD 2.0L I4 DGI Turbocharged No Gimmicks, No Games, No Hassles at AutoMax Dodge Chrysler Jeep Ram where we are a pet friendly dealership! With the Max Value Commitment, our goal is to provide you with an excellent customer experience every time you contact us. Contact Internet Sales today for VIP Appointments, pricing and vehicle availability. Additional rebates may apply. Please contact us for the most up to date rebates and discounts. **MP3**, **IPOD ADAPTER**, **BLUETOOTH, HANDS-FREE**, **USB**, **KEYLESS ENTRY**, **REAR BACKUP CAMERA**, **SIRIUS/XM SATELLITE RADIO**. CARFAX One-Owner. 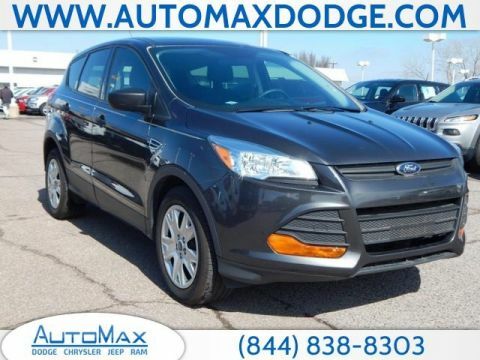 2016 Ford Escape S FWD Duratec 2.5L I4 No Gimmicks, No Games, No Hassles at AutoMax Dodge Chrysler Jeep Ram where we are a pet friendly dealership! With the Max Value Commitment, our goal is to provide you with an excellent customer experience every time you contact us. Contact Internet Sales today for VIP Appointments, pricing and vehicle availability. Additional rebates may apply. Please contact us for the most up to date rebates and discounts. When you’re ready to climb behind the wheel of a high-quality SUV under $15,000 for your next Shawnee, OK adventure, you want to know you’re getting a winner. At AutoMax Dodge, you can be sure you are. We offer competitive low prices on all our vehicles and easy financing that will get you the payment you need regardless of past credit troubles. Just fill out our online application, calculate your payment, and even value your trade from the comfort of your home. When it’s time for service, we can help with that too. Check out our regular specials on the services you need, schedule an appointment, and even order parts to do it yourself with a few clicks of the mouse. We make it easy to find, afford, and maintain your investment, especially with a variety of low-mileage SUVs available. 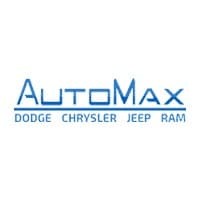 Contact us today to learn more and see how AutoMax Dodge can help put you behind the wheel.